Author: McInerny, Ralph Set In . . . When South Bend, Indiana, Detective Phil Knight meets Boris Henry, an enthusiast of the historic Father John Zahm, a Notre Dame priest who was once involved in theoretical disputes during the 19th century, he wants to introduce Boris to his brother, Notre Dame's Professor Roger Knight, who shares a passion for this legendary man. As expected Boris and Roger have much to discuss. 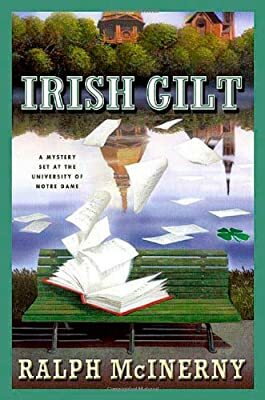 But then some of Boris's collection of rare Zahm artifacts go missing and Boris turns up dead, and the Knight brothers team up to uncover the truth behind the murder in Irish Gilt, an absorbing addition to this series by the author of the beloved Father Dowling mysteries.